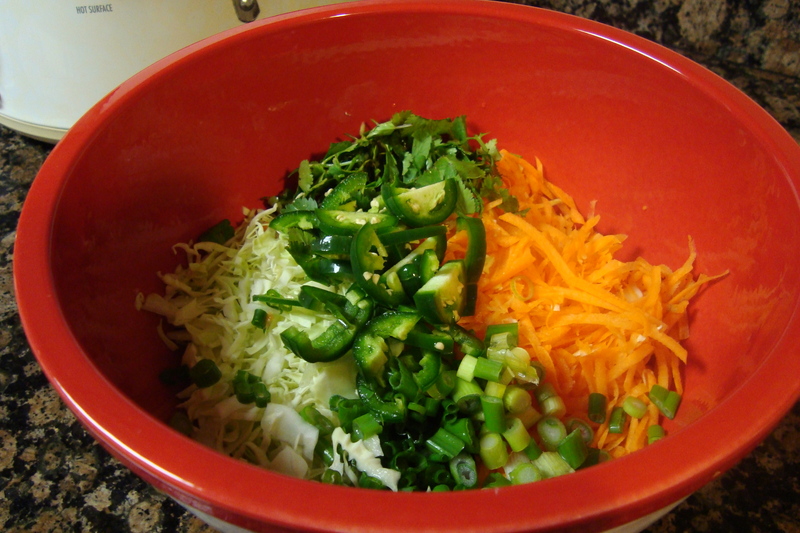 I use this cole slaw as a side dish or as a topping for sandwiches or tacos. I like my slaw to be pretty tangy, but you can reduce the vinegar to mayo ratio if you prefer a creamier slaw. 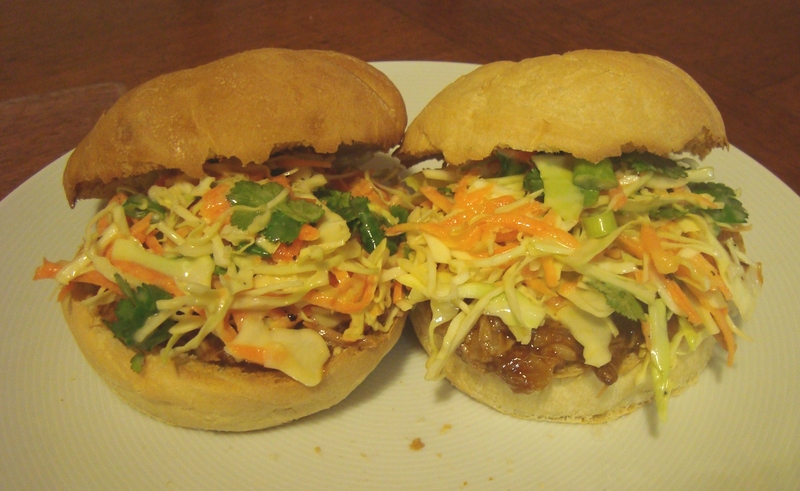 The sweetness mainly comes from the carrots, so you can adjust this as well if you want a spicier/more onion-y slaw. Put the vegetables in a large bowl. Combine the mayo, vinegar, salt, and black pepper in a small bowl. Add the dressing to the vegetables. Taste and adjust seasoning as necessary.